The Toward Right Relationship Project (TRR) offers the following presentations to schools, universities, churches, and civic organizations throughout the United States. Native and non-Native facilitators have given these presentations in some 200 communities by request. Click on the titles for more information about each presentation. To request presentations, please contact paulaRpalmer(at)gmail(dot)com. 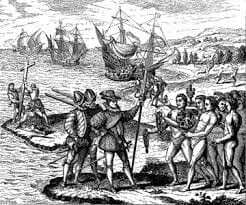 This 2-hour experiential workshop traces the historic and ongoing impacts of the Doctrine of Discovery, the 15th-century justification for European subjugation of non-Christian peoples. Our goal is to raise our level of knowledge and concern about these impacts, recognize them in ourselves and our institutions, and explore how we can begin to take actions toward right relationship with Native peoples. Through this 1-hour program, students symbolically experience the colonization of North America as the Native peoples and the European colonists experienced it. They hear the voices of Indigenous leaders and European popes, monarchs, presidents, generals, and Western historians as the story unfolds. The exercise is followed by a response period, when students share what they learned, how they feel, and what they think about the reality of Native peoples in our society today. Supplementary materials for teachers are provided. This 1-hour documentary film tells the story of a rural community in Washington state that undertook some significant actions toward reconciliation with the area’s Indigenous peoples. Following the film, a facilitated discussion will focus on your community: Who are the Native peoples who have lived and are now living on the land that you call home? How can you learn your region’s real history? What would right relationship with Native peoples look like in your community? What steps can you start taking in that direction? 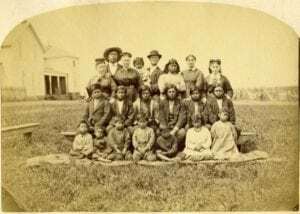 Native American organizations are asking all the churches to learn about their roles in the forced assimilation of Native children by means of Indian boarding schools. As Pendle Hill’s 2016 Cadbury Scholar, Paula Palmer researched the Quaker Indian Boarding Schools. For more information click here. Watch a Video of a slide presentation on the Quaker Indian Boarding Schools, and an interview with Jerilyn DeCoteau, former chair of the National Native American Boarding School Healing Coalition. The Toward Right Relationship project collaborates with Native Americans and other organizations to create and/or support meaningful processes for truth, justice, reconciliation, and healing. The Boulder Meeting established a restricted fund to enable the Toward Right Relationship project to accept donations in support of this work. Funds are used for materials and supplies; travel to conferences and to facilitate workshops and offer trainings; publications; social media development and management; project administration; and project staff support. Learn more here and see link at bottom to make a tax-deductible donation. Visit Toward Right Relationship on Facebook. Read or listen to Paula Palmer’s talk, “The Land Remembers” at Paint Branch Unitarian Universalist Church, Nov. 4, 2018. Watch Paula Palmer’s “Quaker Truth Talk” delivered at the Friends General Conference Gathering, July 3, 2018, in Toledo, Ohio . Read For Quakers who would like to share ideas, questions, and resources as we work toward right relationship with Native peoples in our communities and monthly and yearly meetings, click here to join a Google Group and start networking! Doables These are some actions that can be important steps on the path toward building right relationship with Native Americans and all Indigenous Peoples. Please add your own ideas, and then do at least one of these actions soon. Right Relationship Boulder - Do you live in the Boulder Valley? Join us! 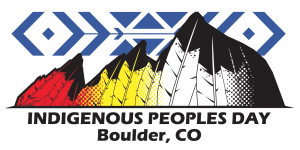 Join Right Relationship Boulder We are Native and non-Native people working with local governments and organizations to help all Boulder Valley residents learn about the Native peoples who lived here historically and those who live here today. Right Relationship Boulder – Overview Help us raise funds to Welcome the Arapaho People Home Boulder Weekly: Arapaho, local civic leaders meet to discuss ‘welcoming’ back native community Visit Right Relationship Boulder on Facebook. Boulder Colorado Indigenous Peoples’ Day Resolution Lafayette Colorado Indigenous Peoples’ Day Resolution After traveling to Oklahoma to visit the Southern Arapaho tribal leaders, and to the Wind River Indian Reservation to visit the Northern Arapaho, Paula Palmer, Ava Hamilton (Arapaho), and Jerilyn DeCoteau (Turtle Mountain Chippewa) presented the following report and PowerPoint presentation to the City of Boulder’s Human Relations Commission. Right Relationship Boulder’s report to Human Relations Commission Dec 11, 2017 Powerpoint Slide Presentation Recommended: Watch the documentary film, “Two Rivers,” and host a discussion in your community. What would right relationship with Native Peoples look like? How can you start taking steps in that direction? Want to hear the Arapaho language and learn some words in it? The Northern Arapaho are teaching it with an app​ that can be accessed at the Google or Apple store. It’s free of charge, and you only have to make sure you have enough storage on your android device or smart phone. Just type in Arapaho and the Arapaho flag icon appears. Click on it and install. Following are programs offered by Toward Right Relationship. For those living in the Boulder, Colorado, area, check the Right Relationship Boulder FaceBook page for listings of upcoming events in the area. 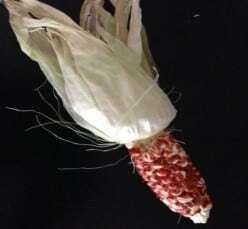 Friday, February 8, 9:30-11:30, Front Range Eco-Social Solutions: A Bioneers Network Event, “Roots of Injustice, Seeds of Change: Toward Right Relationship with Native Peoples.” Jerilyn DeCoteau (Turtle Mountain Chippewa) and Paula Palmer co-facilitate this experiential workshop. See https://www.colorado.edu/ecenter/bioneers for location and full event schedule, and to register for the FREE workshop. Tuesday, February 19, 6-8 pm, Monthly meeting of Right Relationship Boulder at Tebo building (see Jan 22 above for directions). April 9, 7-9 pm Second Tuesday Race Forum, Park Hill United Methodist Church, Denver. 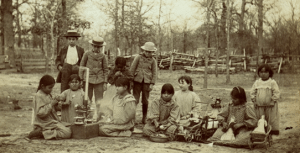 Listen to an interview with Paula Palmer about the Toward Right Relationship with Native Peoples workshops and her research on the Quaker Indian Boarding Schools, on Northern Spirit Radio. TRR Project Documents - More info, resources, flyers, etc. “For Indigenous Nations to Live, Colonial Mentalities Must Die“ Envisioning a just future beyond the Indian Act starts with recognizing that the root of the problem we are facing is not one of laws or policies, of funding disparities or even of governmental capacities at any level. In this short article, First Nations writer Taiaiake Alfred states concisely and precisely how Settler people must change ourselves and our institutions in order for Native peoples to survive and thrive. The parallels between his Canadian context and the US are obvious. To make an online donation, enter “Toward Right Relationship” in the “Purpose” box, then click “Donate”. You may need to enter it twice; the second time the space may look like this: . Please click on the plus sign and enter “Toward Right Relationship” again if you see the plus sign; thank you. To donate by mail, send a check to Treasurer, Boulder Friends Meeting, P.O. Box 4363, Boulder, CO 80306. Make the check payable to “Boulder Friends Meeting” and write “Toward Right Relationship” in the Memo line.